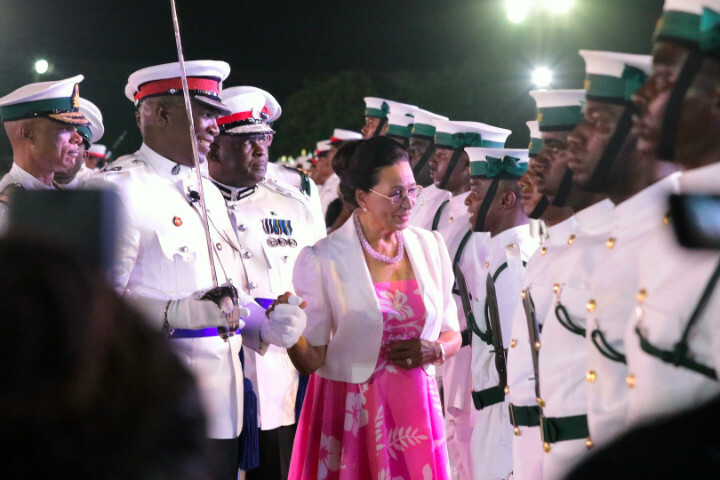 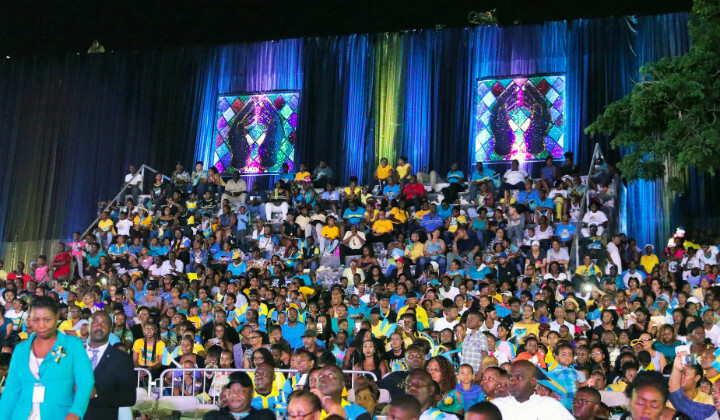 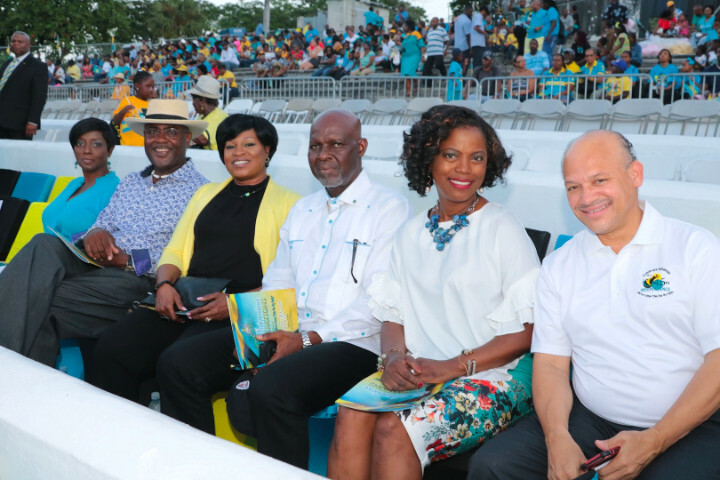 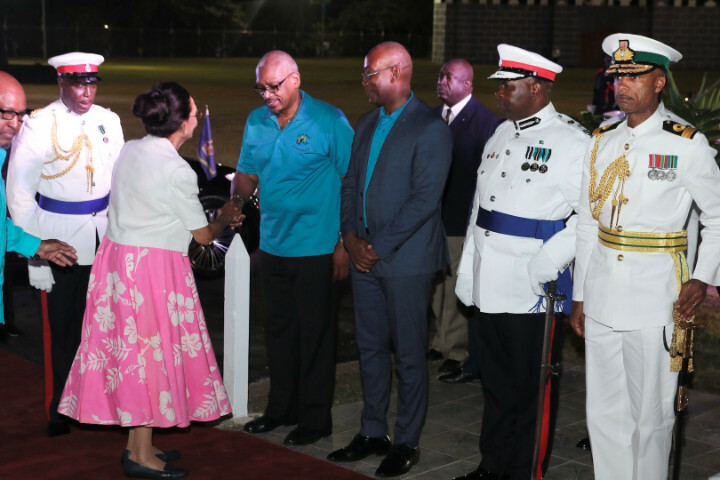 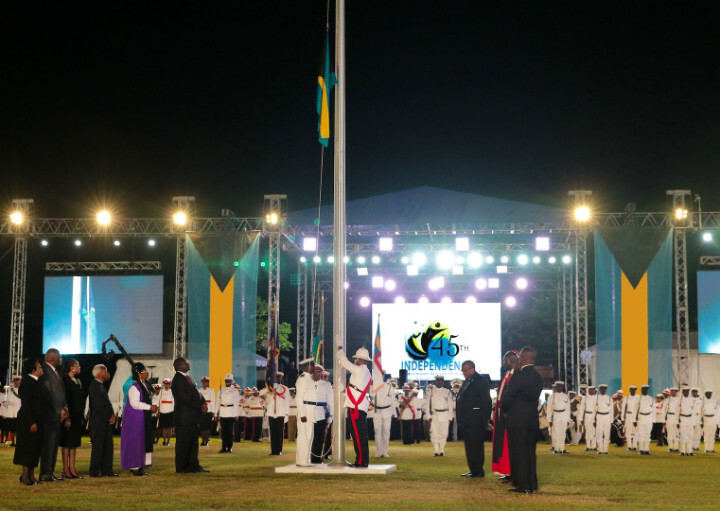 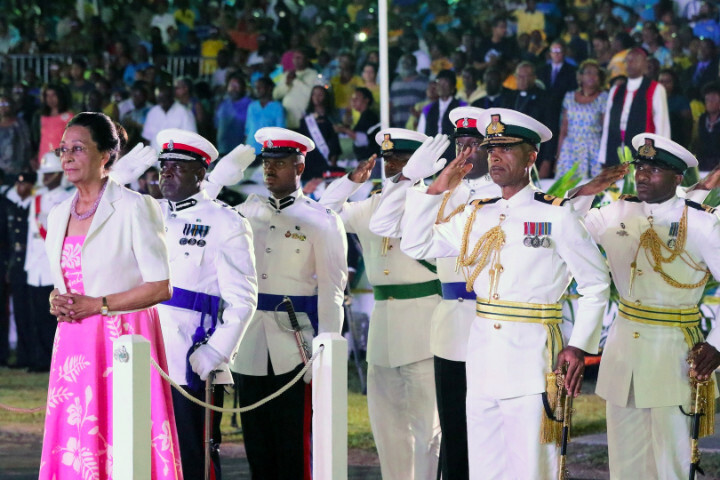 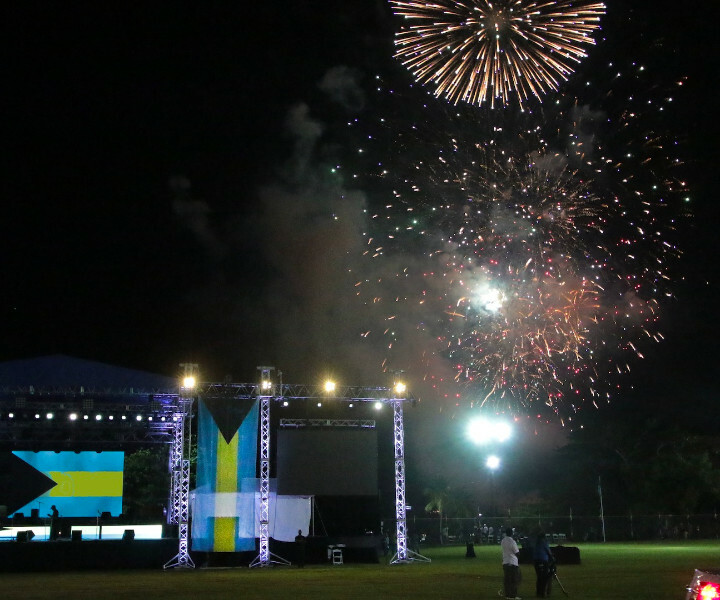 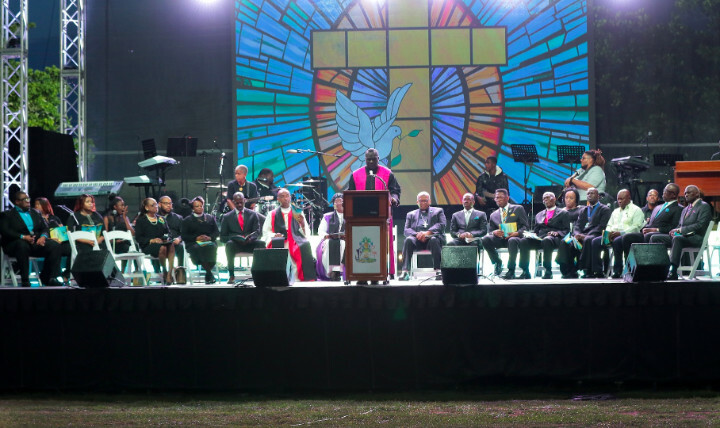 NASSAU, The Bahamas - Bahamas Independence 45th Grand Anniversary Celebrations at Clifford Park on the evening of July 9, 2018 leading up to the early hours of Independence Day, July 10, with Ecumenical Service, Concert, Tattoo & March Past, and Fireworks Display. 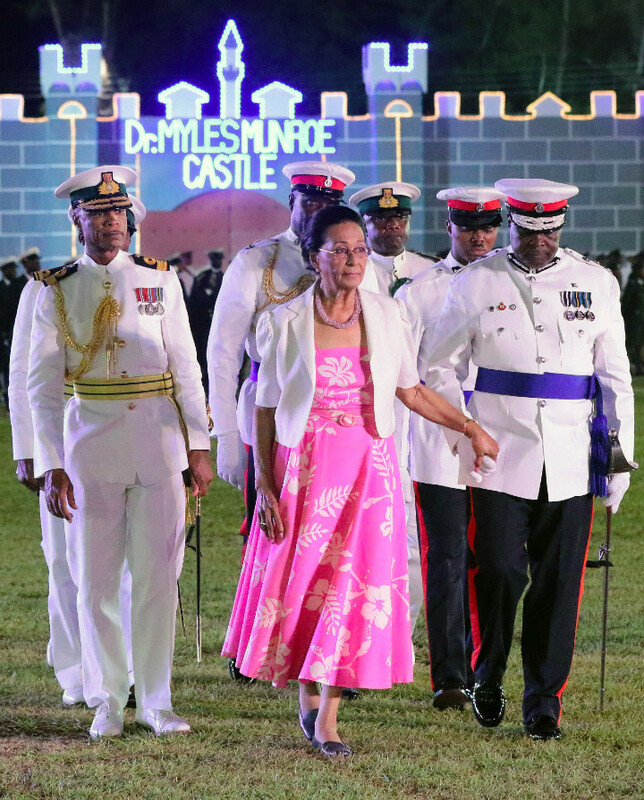 Governor General Her Excellency Dame Marguerite Pindling, Prime Minister Dr. the Hon. 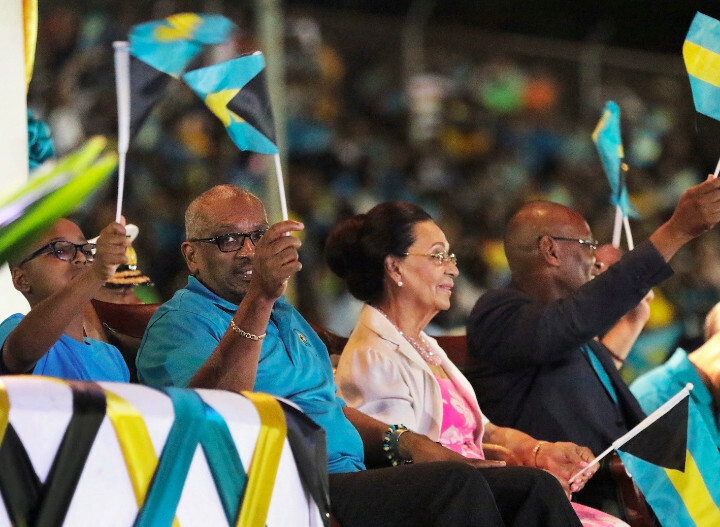 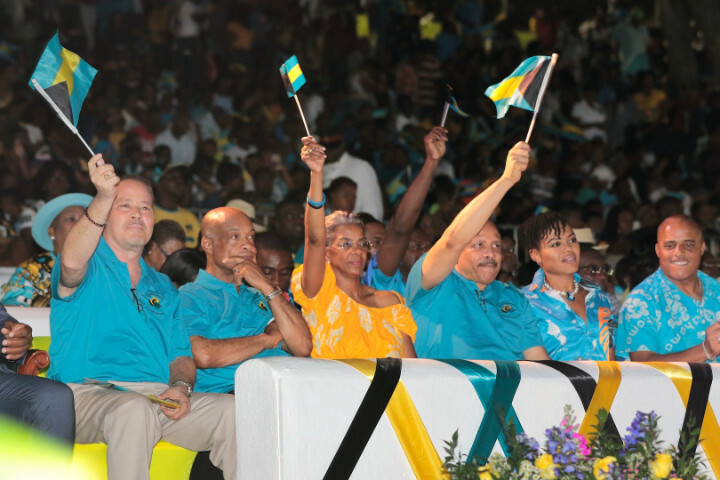 Hubert Minnis (with grandson next to him), and Chairman of the 45th Independence Secretariat Mark Humes are pictured seated on the dais of government officials in attendance, along with diplomatic, religious, and national security representatives, and the hundreds of spectators.